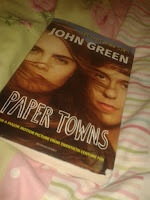 Paper towns is a mysterious, detective book with humour through the book with extra love I really liked it. Paper Towns is based in Florida around a group of teens but mainly around Margo and Quentin who have had a friendship since toddlers but when a disturbing event split hem apart they didn't see each other as much but Quentin had a secret rush and when Margo goes missing Quentin has to discover the truth before it's too late. This book is full of plot twist and creepy bits but is definitely a page turner. 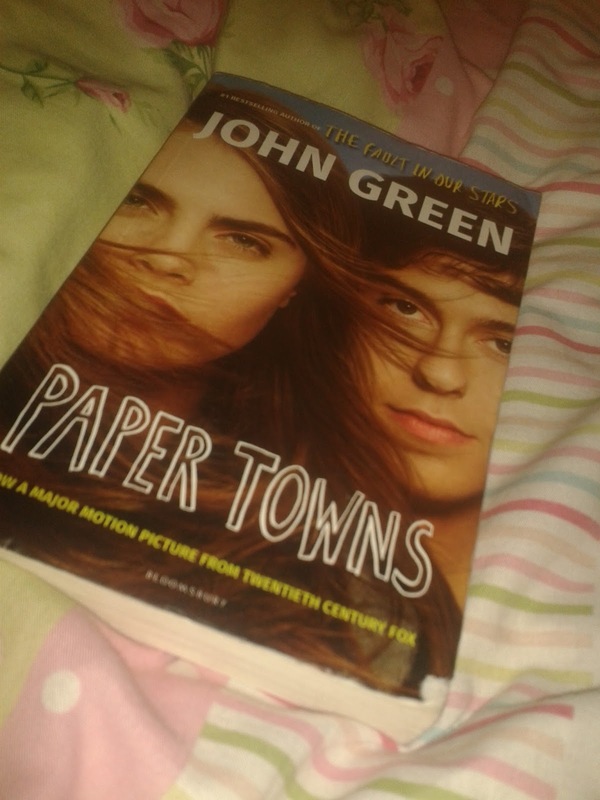 I rate Paper Towns 4 **** and is a read if you like a mystery other John Green books are good what is your favourite by him and what are you reading at the moment comment below. This is a quick sum up did you like my review ?? p.s does anyone know someone who could design my blog ?? Random but let me know would love a new life to my blog give ideas below of what I could do ?? ?